The announcement comes as the company faces a takeover bid from Ohio-based cannabis company Green Growth Brands Inc, Newsday reported Wednesday. The appointment also occurred in the same month as an exposé from Hindenburg Research alleging that Aphria investors were attempting to siphon money from shareholders. In its press release announcing their decision, Aphria emphasized the fact that appointing Simon as an independent chair would “advance the Company’s governance best practices.” Their board of directors now has 10 members and a majority, six, are independent. “Aphria remains committed to strong corporate governance and promoting a culture of integrity and ethical behaviour throughout the organization,” the company wrote. Simon had served as CEO of the Hain Celestial Group for 25 years since founding the organic and natural products company in 1993. He had stepped down as CEO in November, though he continues to act as nonexecutive chairman, Newsday reported. In an interview with CNBC Wednesday, Simon said that the cannabis industry today reminded him of the natural organic food industry in the 1990s. He touted it as a major growth opportunity, saying it would be a $15 billion business if all 50 states legalize it. In Canada, it is currently a $5.5 billion industry, he said. Beyond smoking for pleasure, he saw major growth potential in food, beverages, supplements, vitamins and medicine. “You want to talk about trends in 2019. The whole cannabis world is one of the hottest trends I’ve seen,” he told CNBC. Newsday reported that the legal cannabis market is expected to grow by 14.7 percent per year, to reach $25 billion by 2025, according to the cannabis research firm New Frontier Data. When asked about the takeover attempt by Green Growth Brands, Simon said the company’s current offer was too low to make it a potential strategic partner at the current moment, but that in the future a partnership might be possible, since the company owns many retail outlets. 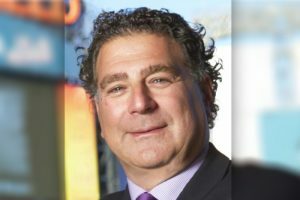 “While we appreciate GGB’s interest in the value we have created at Aphria and our significant growth prospects, their proposal falls short of rewarding our shareholders for participating in such a transaction,” Simon wrote in Aphria’s official response. Aphria found that Green Growth Brands’ proposal would be 23 percent below its average share price. The takeover isn’t the only controversy Aphria faced this month. In the Dec. 3, report, Hindenburg Research accused the company of being a “shell game” because, it claimed, its recent Latin American acquisitions were “largely worthless.” These included an abandoned building in Jamaica that had been sold off by a bank earlier in 2018 and an Argentinian company that one worker said had a 2017 revenue less than half of what Aphria had claimed. Aphria responded to the report restating the value of its acquisitions, but Hindenburg Research pointed out that it did not dispute key claims, such as the claim that the purchases were made through a series of shell companies or that the supposed office of their Jamaican subsidiary was an abandoned building. Hindenburg Research also raised questions about the takeover, noting that, among other irregularities, Aphria CEO Neufeld was on the board of of advisers of Green Acre Capital, a group that sponsors the fund that is Green Growth Brands’ second biggest shareholder. “We view this offer as non-credible and likely an attempt to generate the appearance of demand in the hopes of spurring credible offers,” Hindenburg Research wrote. Simon was no stranger to controversy at Hain Celestial. During his tenure, the company settled a nearly $10 million dollar lawsuit in California over claims that two brands it sold as organic did not actually meet the requirements of California’s Organic Products Act, Newsday reported at the time.